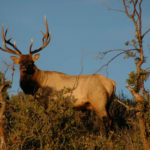 About 25-years ago, I had an opportunity to hunt with Larry D. Jones in the Gila National Forest near Reserve, New Mexico (https://www.fs.usda.gov/gila). At the first of the season, the weather was really hot, and the elk weren’t bugling. We sat down for lunch, and Larry said, “Let’s start sounding like two bulls up here on the top of this mountain. 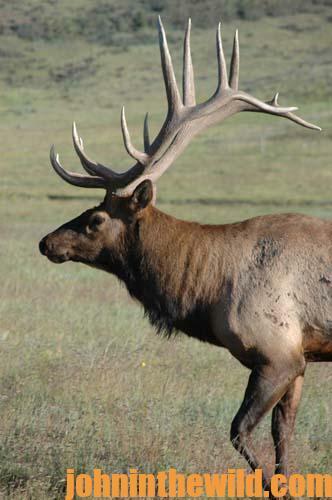 Let’s bugle back and forth like bull elk challenging each other. In the middle of bugling, let’s start giving some cow calls. 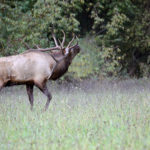 Then we can sound like a whole herd of elk, because we know there’s elk in this area.” So, Larry and I bugled back and forth when we were within 25 yards of each other. Larry would bugle off to his right, and I would bugle off to my left, and we mixed in numbers of calf and cow calls. In-between our calling, we’d stop and listen. 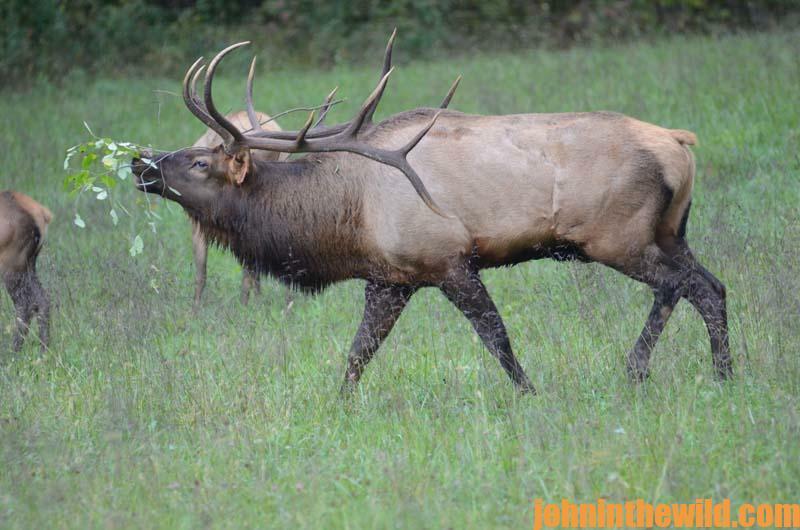 Across the draw from where we’d been calling, we heard a bull start chuckling about 400-yards away. We kept up our excessive calling. Within about 4 minutes, that bull came in to where we were. When I have a bull respond to me, if I’m guiding a bowhunter, as I start calling back to the bull, I’ll ask the bowhunter to nock an arrow. When I’m guiding someone, I try to do all the calling, which is why I carry two bugle calls and several different cow and calf calls with me. Instead of sitting behind the tree like most hunters set-up, I ask my bowhunters to sit out in front of the trees, facing the way from which we expect the bull to come. Mossy Oak Break-Up Infinity (https://www.mossyoak.com/your-obsession/camo-patterns/mossy-oak-break-up-infinity) will break-up your silhouette, and you can count on that camouflage to make you invisible. 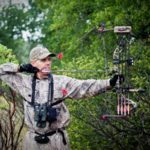 When bowhunters kneel to sit down, most of them have both their knees in front of them pointing in the direction from which they expect the bull to come. If I’m guiding for a right-handed bowhunter, I’ll have him point his knees to the right of the direction from which he expects the bull to come. 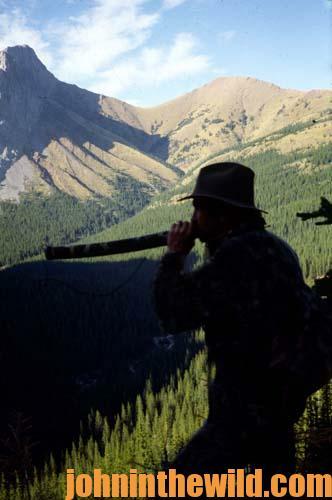 This way, my hunter can draw early on the elk and can twist his torso to the right or all the way to the left, giving the hunter a 180-degree range of movement to take the shot. A mistake that I’ve seen bowhunters make is they don’t look at what’s behind them. 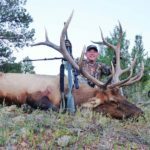 For that full 180-degree shot, many times when they draw their bows, perhaps the arms drawing the bow strings will hit bushes with dry limbs behind them, the dry limbs will snap, and the elk will hear those sounds and leave the area. When I’m really going to do a lot of excessive calling, I want to be 20 to 30 yards behind my hunter. Often in the early season, the bulls will come in silent – never growling, chuckling or bugling. I call the bulls that come in this way alligator bulls, because you’ll never hear them. They’ll just suddenly appear. Before I started using this system, I noticed the bulls would come in and hang up about 30-yards from where I was calling. They expected to see another elk. 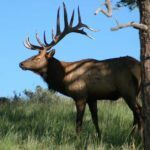 So, if my hunter is 20 to 30 yards in front of me, he’ll usually have an 18- to a 20-yard shot at a bull elk when the elk responds. Although I mostly guide bowhunters, when I’m guiding blackpowder hunters or rifle hunters, I use this same set-up and calling technique. I have a Facebook page titled Ramos Hunts and Video Productions www.facebook.com/pages/Ramos-Hunts-Video-Productions/387405144655063?fref=ts. 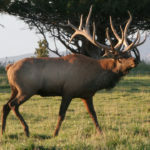 Go there and see some of my videos and photos of the elk we harvest every year. You can contact me at 575-642-3219, and I’ll make recommendations about where hunters can put in to possibly get tags.